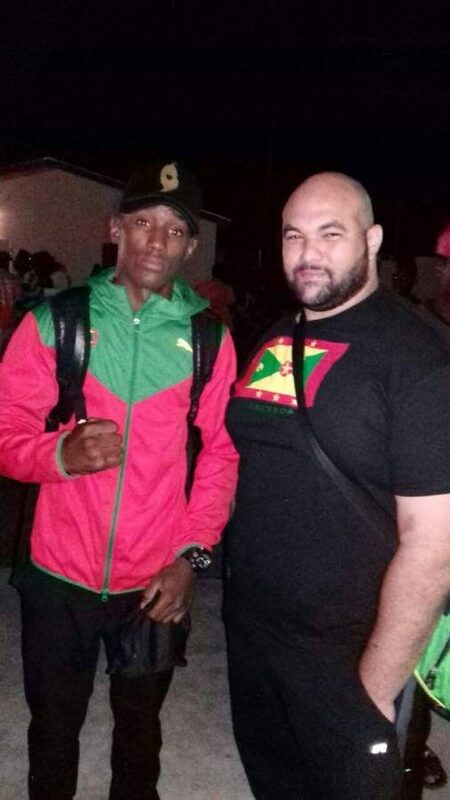 With a number of gold medals under his belt, a national lightweight boxer for Grenada, Rufus Vesprey, has set his eyes towards 2020 Summer Olympics in Tokyo, Japan. At only 19 years of age, Vesprey, nicknamed the “Ghost” is ranked 3 in the Commonwealth with 10 fights, 5 knockouts and 1 lost added to his résumé. He was awarded for his achievement in the sport of boxing after being named 2017 Male Boxer of the Year. The former Bishops College student who hails from Petite Martinique trains more than 3 days a week, and as of 19 April, 2018 is no longer required to wear protective head guards, an elevation into the professional league the young boxer is ready to embrace. The young champ says he is honoured to be recognised at last year’s sports awards and looks forward to advancing in his career. Coach Joseph says efforts must be made to secure scholarship opportunities for athletes like Vesprey to be able to focus on their training. Unfortunately, he says this still poses a challenge for many athletes on the island. Vesprey says he looks forward to 2020 Summer Olympics where he hopes to achieve his dream of earning a gold medal for Grenada.